We specialize in a vast range of buildings which are showcased throughout this website. All buildings meet the entire requirement for the Building Code of Australia and come complete with Engineer Certification. We cater for all requirements within our projects and all of our buildings are EEC rated. 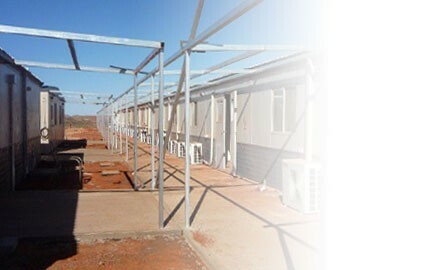 As an attribute to our pride and precision we are able to deliver quality manufactured, transportable buildings along with many optional extras to meet the satisfaction of our clients. Additionally, we are capable of designing buildings for any climate zone, terrain category and cyclonic region allowing our buildings to be installed nationwide. Pigdon Portables offer a complete range of services, these include the initial design process, qualified manufacturing, through to reliable transport and installation.